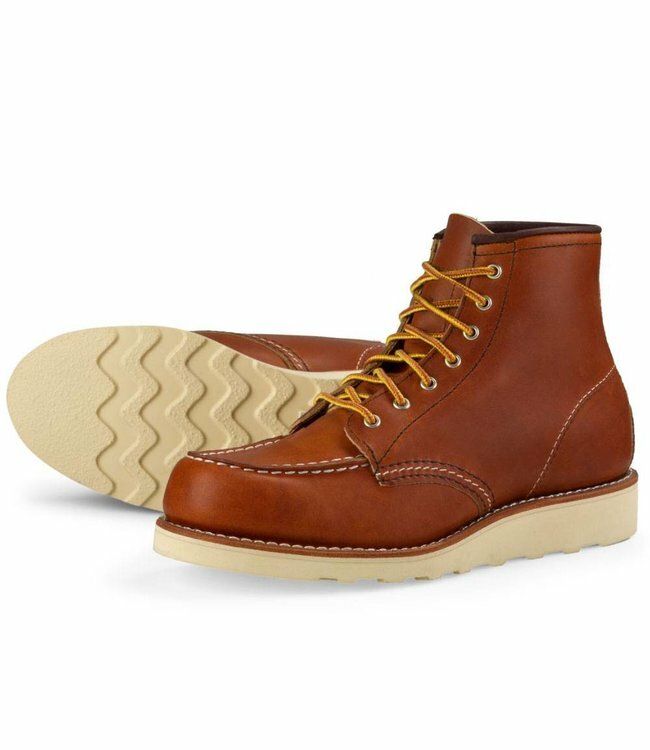 The Classic Moc Toe is lightweight, comfortable and tough, and features Goodyear welt construction, a polyurethane Traction Tred outsole and premium Red Wing leather. Patterned after Red Wing’s iconic work boot – the 875, the 6-inch Classic Moc Toe is completely rebuilt for women. The Classic Moc Toe is lightweight, comfortable and tough, and features Goodyear welt construction, a polyurethane Traction Tred outsole and premium Red Wing leather. Although trying these boots on in-store is the best way to ensure a proper fit, we recommend buying these in your normal size.